Even when we travel it's imperative that we maintain a proper skincare regimen. 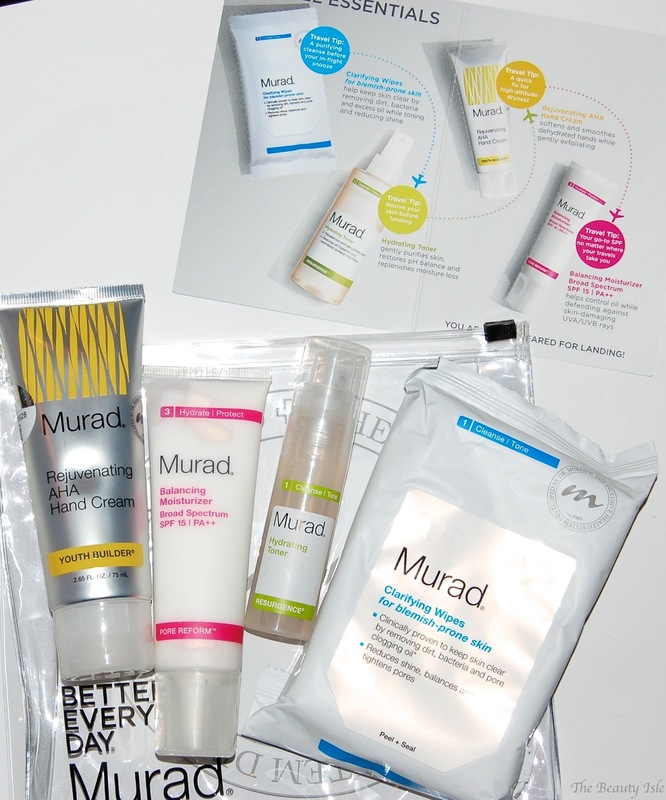 It's especially important to ensure that we cleanse our skin each and every evening. This can be quite difficult with all the TSA travel restrictions. Luckily many of Murad's full size products are already travel size friendly, coming in at under 3.4oz. When I travel I always take makeup removing wipes with me, they are so much easier to travel with than a liquid cleanser. 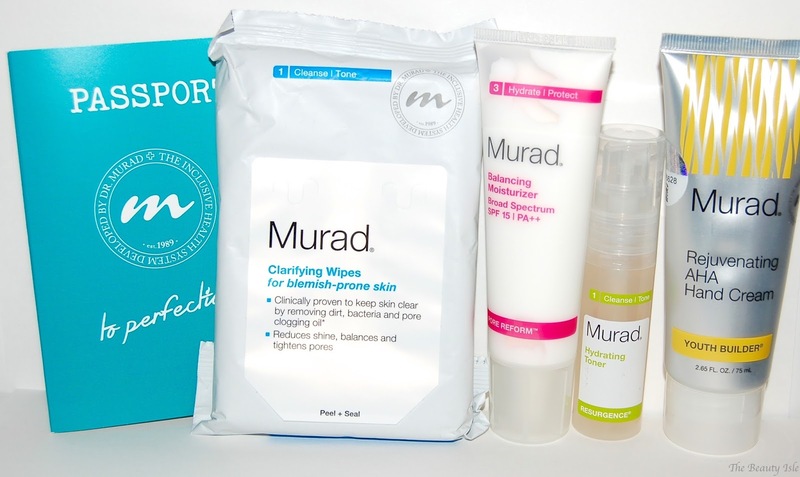 My fave Murad face cleanser is the Clarifying Cleanser so I'm excited to try these as I'm sure I'll love these just as much! This is my fave toner I've ever used, and it's alcohol-free! I use toners to remove the very last bits of makeup and this does an excellent job while also not stripping my skin of moisture. The last thing you need on a beach vacation is a toner with tons of alcohol that will sting your sun-kissed skin! Unfortunately, this toner is not available in the travel sized version but you can easily decant it into a smaller bottle. This is a wonderful lightweight moisturizer with SPF 15. Perfect for vacation! It's full size but still travel sized at 1.7oz. I love that this hand cream has Glycolic Acid! Besides your face, your hands could definitely get some good use out of ingredients that are known to improve the texture of your skin. Especially after getting summer sun. What are you must-have travel beauty products? ?